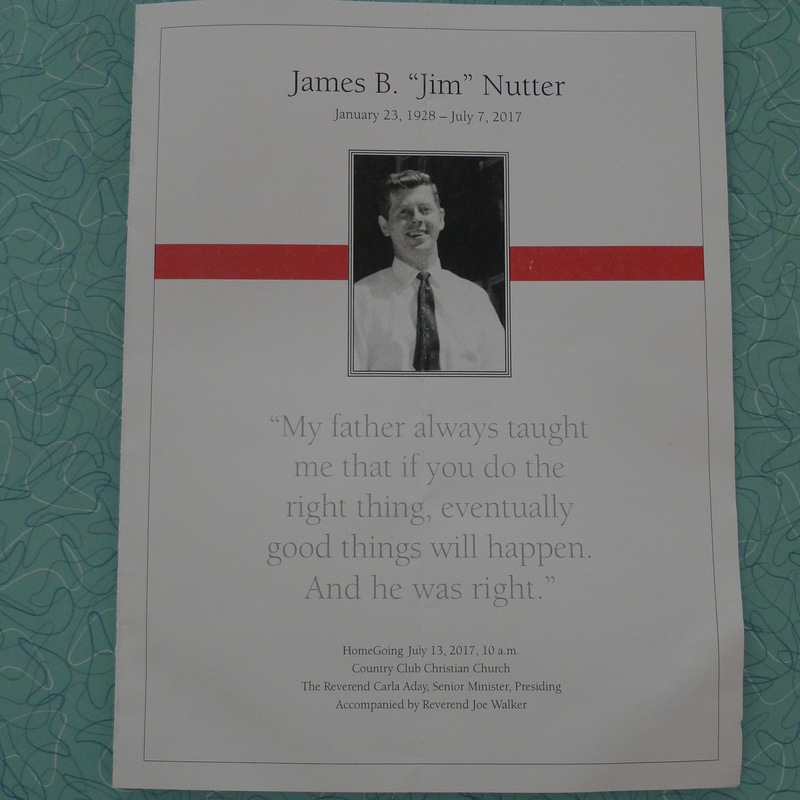 Thank you so much for your wonderful report on Jim Nutter’s funeral. It certainly means a lot to those of us who didn’t get there. You covered it beautifully. He will be vividly remembered when the Meyer Circle Fountain starts flowing again–soon hopefully. When I first learned he had committed $300,000 to Haff Circle Fountain at Meyer and Swope Parkway, I was awestruck. The Meyer Circle Fountain enjoys an affluent constituency, one fully capable of raising hundreds of thousands (and did) for a beloved fountain. Touching. Considering the political system now and the cold flood of money to influence officeholders, there’s likely never to be another James B. Nutter again. A rare one, for sure, Bruce. Thank you for your report, Jim. Well done! We were all lucky to live in the same town as Mr. Nutter. His memory will be for a blessing. I didn’t have the pleasure of knowing Mr. Nutter personally. But my wife and I took out two mortgages from his company over our 37 years in this town. And I just really appreciated the fact that the Nutter company held everything locally; never sold the mortgages to bigger banks and were always ready with answers on the phone when we called with any questions. It’s been a great company to deal with. Sorry for his loss; he was the “George Bailey” of Kansas City. Mr. Nutter was a staunch friend to the KC Southwest Baseball team, 1990 – 1998; an unfunded sports orphan due to our unfriendly AD and downtown KCMO SD administration. I can attest that his thoughtfulness positively impacted the lives of these young baseball players.